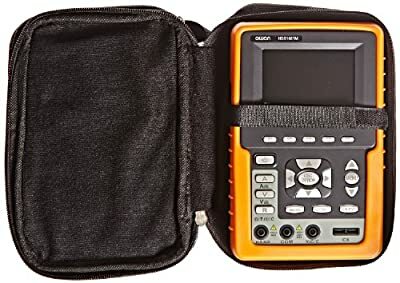 The Owon HDS1021M is a handheld electrical test device that combines a 20 MHz, single-channel, handheld digital oscilloscope for viewing electrical signals with a manual- and auto-ranging digital multimeter for measuring AC and DC voltage to 400V, AC and DC current to 20 amp, resistance to 40 M?, and capacitance to 100 ?F. The oscilloscope has maximum real-time sample rate of 100MS/s and a record length of 6,000 points for acquiring detailed waveforms. Its 18 automatic measurements such as period, frequency, and peak-to-peak enable an in-depth analysis of waveforms. Up to four waveforms can be stored in the internal memory. 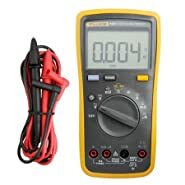 The multimeter has two ranging modes: manual, which allows the user to select the operating range, and auto, which automatically selects the appropriate operating range. The delta relative function allows a measurement to be set as a reference value and displays subsequent measurements as a positive or negative deviation from that value, and the data-hold function freezes a reading on the display to aid documentation. A continuity buzzer confirms that the circuit conducts electricity, and a diode check detects whether a circuit's diodes are working properly. Additional specifications include a rise time of 17.5 ns and various triggering features. The unit has a 3.5" color TFT (thin film transistor) LCD with a resolution of 320 x 240 pixels for viewing waveforms and measurements. 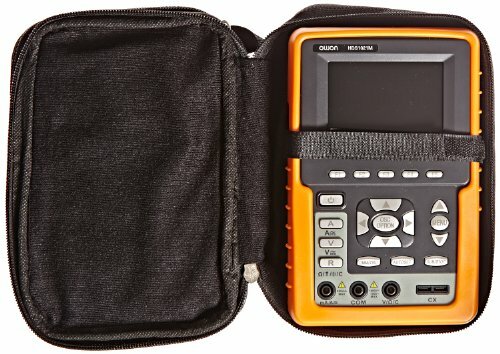 An oscilloscope is used for electronics applications such as product design, assembly lines, repair and servicing, and electrical engineering education, among others. 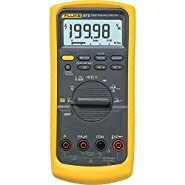 A multimeter is an electrical testing tool for measuring multiple properties of an electrical circuit to verify proper operation or diagnose problems. The unit has a USB port for connecting to a PC and includes Microsoft Windows compatible software for transmitting data and remote operation. 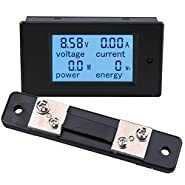 It meets EN (European Standard) 61010-1:2001 safety standard, and is rated for CAT II installations to 400V, which covers energy-consuming equipment connected to a fixed installation, including household, office, and laboratory. It has European Conformity (CE) marking. 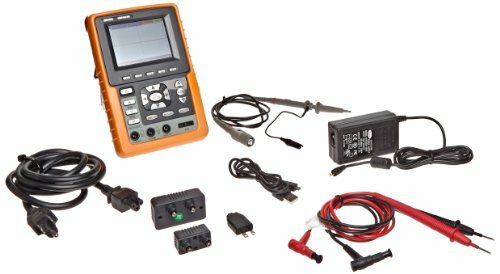 It comes with an oscilloscope voltage probe; a set of test leads; an extension module for large current measurement; an extension module for small capacitance measurement; an output terminal for testing of 1 kHz/5V square-wave signal; probe adjustment tools; a USB interface cable; CD-ROM PC software; a rechargeable lithium ion battery; a battery charger/AC adapter for 100 to 240V, 50/60Hz; and instructions. Maximum resistance measured 40 M? Fujian Lilliput Optoelectronics Technology manufactures electronic equipment such as LCD monitors, navigation systems, and oscilloscopes under the brands Owon and Lilliput. The company, founded in 1993 in China, has a U.S. office in City of Industry, CA, and meets International Organization for Standardization (ISO) standard 9001.